With a lot of around these days about Global Warming and its effects and Power Consumption by [ Read about Edison – Power Management Tool ] computers sum up to great extent and mostly systems are kept idle during breaks and sometimes for a scheduled event and untill this event occurs systems are left switched on.In such scenarios its better to keep systems on standby or hibernate to have all and auto wake up systems from standby at a schedule time. 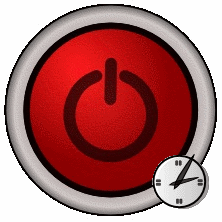 WakeupOnStand By Mode & Hibernation, a portable app can wakeup system’s from standby/hibernation automatically at predefined time, startup and execute any program and perform any other action like shutdown/standby etc., automatically after completion. Can run a file or open a web page at a predetermined time after a wake-up event, during normal operation, or before performing power operation. Can send system back to Stand-by mode (hibernate it, shut it down, or log off user) after a certain time interval. Can detect if Stand-by mode (or hibernation) is supported by your system. Can turn the monitor on and hold off screen-saver during the waiting time. Can repair local area network and high-speed Internet connection upon waking up from a suspended state. Can send system into Stand-by mode or hibernate it with more options than available through Operating System. Can be run from the Windows Command Line without user interaction. Can be saved as a batch file for later use. The program can also do launch a user specified program on wakeup, the wakeup can also be scheduled to repeat on specific days and time of the week. Note : To wakeup any Windows-based operating system from a Stand-by mode (and some from hibernation) the system needs to have support for ACPI (Advanced Configuration and Power Interface).